***ORIGINAL MSRP OVER $541,000! *** 1 OF 600 UNITS EVER MADE! *** LAUNCH COLOR ROSSO BIA EXTERIOR PAINT! *** RED PAINTED CALIPERS! RED SEAT BELTS! BRANDING PACKAGE WITH ALCANTARA! NAVIGATION SYSTEM! LIFTING SYSTEM! SATELLITE RADIO! REAR VIEW CAMERA WITH PARKING SENSORS! MAGNETO-RHEOLOGICAL SUSPENSION W/RED REAR SPRING! SENSONUM PREMIUM SOUND SYSTEM! FULL ELECTRIC AND HEATED SEATS! FIXED REAR AIR INTAKE IN VISIBLE CARBON FIBER! MULTIFUNCTION STEERING WHEEL IN ALCANTARA! CARFAX 1-OWNER CERTIFIED AND SO MUCH MORE! STOP BY OR CONTACT US TODAY TO LEARN MORE ABOUT THIS VEHICLE! 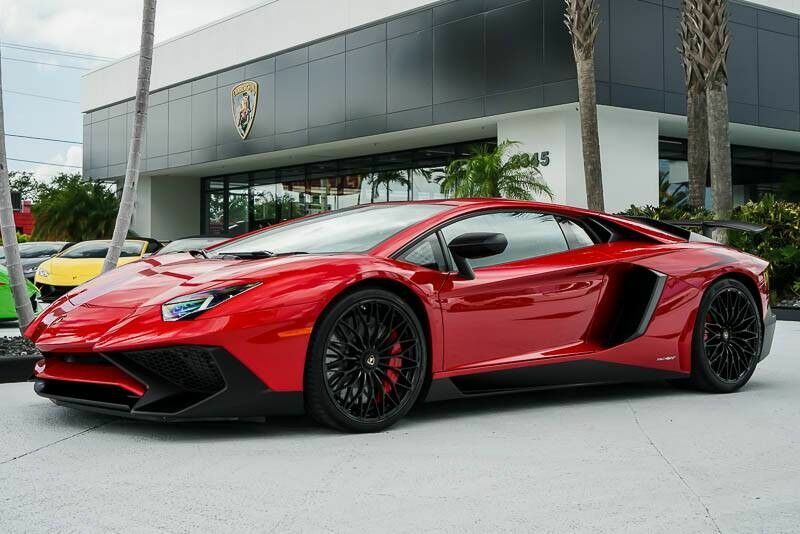 Lamborghini Palm Beach is honored to present a wonderful example of pure vehicle design... this 2016 Lamborghini Aventador LP 750-4 Superveloce only has 3,119mi on it and could potentially be the vehicle of your dreams! You appreciate the finer things in life, the vehicle you drive should not be the exception. Style, performance, sophistication is in a class of its own with this stunning Lamborghini Aventador. Few vehicles can match the safety and comfort of this AWD Lamborghini Aventador LP 750-4 Superveloce. With enhanced performance, refined interior and exceptional fuel efficiency, this AWD Lamborghini is in a class of its own. 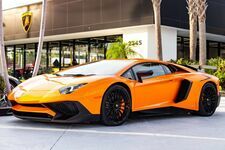 Based on the superb condition of this vehicle, along with the options and color, this Lamborghini Aventador LP 750-4 Superveloce is sure to sell fast. More information about the 2016 Lamborghini Aventador: The 2016 Aventador is the latest, greatest supercar offering from Lamborghini. The car is a tour de force of technology and internal combustion. Few other cars exist in the stratosphere of performance and exclusivity in which the Aventador lives. The McLaren MP4-12-C costs less, but it has four fewer cylinders and can't match the Aventador for sheer performance. And while the Bugatti Veyron nearly doubles the power, it also quadruples the price. When examined next to its competition, the Aventador is a bona fide performance bargain in an extraordinary category. Interesting features of this model are luxury appointments, technical sophistication, Incredible performance and blistering acceleration, and exclusivity Come join our family at Lamborghini Palm Beach, where your buying experience is most important to us. Wheels: Front 20" & Rear 21" Alloy -inc: Rim width: 9"